Major League Baseball, and professional sports in general, are increasingly becoming a young man’s game. When you consider the best players in the game today, you think of 20-something studs, Mike Trout and Bryce Harper, not guys who are reaching the midpoint of their lives, like former stars, Alex Rodriguez and Ichiro Suzuki. However, it’s still interesting to look at the oldest players in each respective league to see how their careers are turning out. Using Bob Garcia’s recent review of the best players under 25 years old as inspiration, here are four of the best players currently over the age of 35. 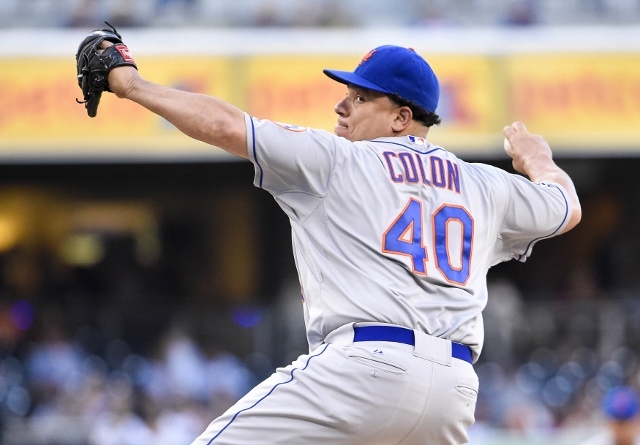 It’s pretty hard to label New York Mets righthander Bartolo Colon as one of the best in any group at this point in his career, but among starting pitchers over the age of 35, he’s still got it. There’s a pretty significant difference in the makeup of the Mets’ first four or five starters (when Zack Wheeler returns from an injury) in comparison with No. 40. You’ve got youthful flamethrowers in Jacob deGrom, Matt Harvey, Noah Syndergaard, Steven Matz, and Wheeler, and then there’s Colon. The 5-foot-11, 285-pound hurler now primarily relies on his off-speed stuff and unbelievable control to get outs, something he still does pretty successfully. The 14-13 record with a 4.16 ERA is about all you can ask out of a back-end starting rotation arm. The only reason Colon’s numbers were that mediocre was because of a couple of rough starts in May and one tough game each in June, July, and August. Clayton Kershaw, Zack Greinke, David Price, Madison Bumgarner, and R.A. Dickey. Which name doesn’t belong? Of course, Dickey’s name stands out from the group of shutdown aces, but did you know that he finished with that crew in the top 10 in innings pitched a season ago? True, he landed in 10th place — and the fact that his go-to pitch is a knuckleball helps his cause — but he was still more durable than the likes of Felix Hernandez, Jon Lester, Chris Sale, and Johnny Cueto. That’s saying something. 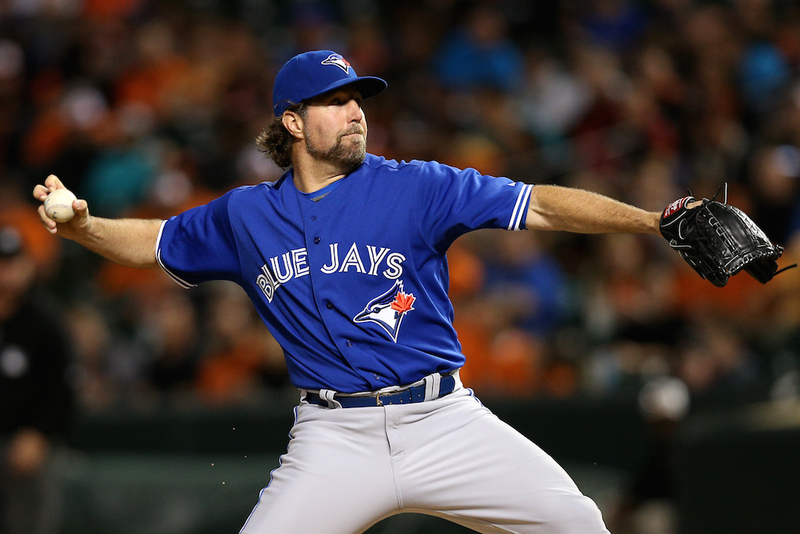 At 41 years young, Dickey put together another rock-solid year for the Toronto Blue Jays in 2015, and at this rate, he could probably pitch for another five years or more. As long as the 2012 NL Cy Young award winner continues to get outs, he’s going to have a job in this league. And hey, Dickey’s 1.19 WHIP from last year was better than guys like the much younger Michael Wacha and Jordan Zimmermann, and it tied with Cole Hamels. Pretty darn good. The A-Rod supporters out there (if there are even any left) may find his exclusion and his New York Yankees teammate Carlos Beltran‘s inclusion on this list somewhat surprising. The main reason for this move was that while Beltran still receives plenty of playing time in the field (123 of his 133 games played last season were in the outfield), Rodriguez is relegated to designated hitter duty at this time (136 of his 151 games were as the DH in 2015.) With one notable exception (more on him in a bit), we decided to go with just position players and pitchers in this post. Anyway, Beltran is clearly past his prime and has unfortunately been limited by injuries a bit in his first two seasons in the Bronx. However, when he’s healthy, he’s still a solid middle-of-the-lineup threat. Although he missed almost 30 games in 2015, Beltran still knocked 132 hits, 19 home runs, and 67 runs batted in. Most impressively, his 34 doubles were more than guys like Joey Votto and Adrian Gonzalez and as much as Robinson Cano and Jose Abreu, all of whom had significantly more at-bats than Beltran last year. Whenever the legendary postseason performer does decide to call it quits, he’ll have a compelling Hall of Fame case. 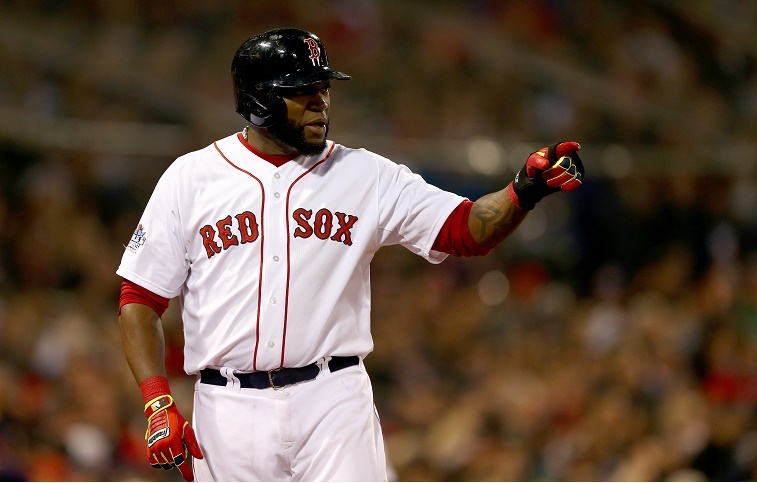 As alluded to, there is one DH that cracks our list and of course, it’s “Big Papi” David Ortiz. The 40-year-old Dominican just keeps strumming along and coming up with clutch hits, but 2016 will be the final chapter for the three-time World Series winner. Toward the beginning of the offseason, Ortiz announced that he will retire from playing Major League Baseball following the season and boy, what a career it has been. We still don’t know how 2016 will turn out for No. 34, but judging by last season’s individual results, it could be a special swan song for the hefty lefty. Even as he approached 40 last year, Ortiz came up with another monster year, cracking the top 10 in runs batted in with 108. Obviously, the cherry on top of a marvelous career would be an AL East crown, yet another AL pennant, and a fourth championship ring. Statistics courtesy of Baseball-Reference and ESPN.